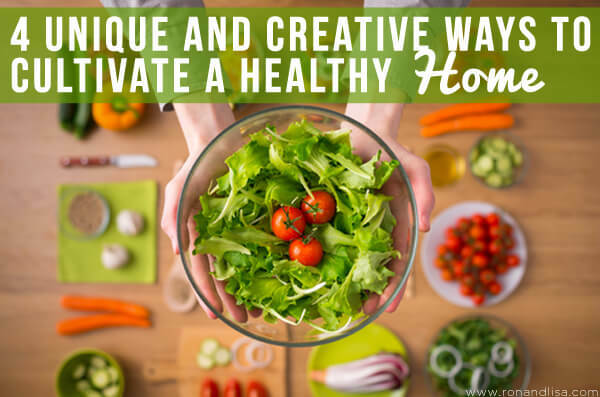 Without a healthy kitchen, it’s impossible to cultivate a healthy home. There are the obvious things you can do to make your kitchen nutritious, such as keeping lots of fruits and veggies on hand, healthy sources of protein and complex carbohydrates and avoiding unhealthy fats and sugars. However, a healthy kitchen goes beyond the basics. Let’s start with the spice rack. Turmeric, a bright yellow spice popular in Chinese and Indian medicine, should be added to as much food as possible (even combined with non dairy milk to form a golden concoction). The health benefits are numerous, including being an anti-inflammatory agent, a treatment for inflammatory bowel disease, relief for rheumatoid arthritis, help for cystic fibrosis and much more. Dairy can be healthy in moderation, but avoiding it altogether has positive health benefits as well. Next time you’re following a recipe that calls for milk, butter, cream or cheese, consider substituting the dairy for avocado, which is rich in heart-healthy fats. National Geographic writer, Dan Buettner, studies the world’s Blue Zones where people have the highest life expectancy and the lowest rate of middle age mortality, and he found that the biggest factor is diet. He found that those areas that have adapted a Mediterranean diet and eat tofu, sweet potatoes, turmeric and beans increase their chances of living a longer and healthier life. Too busy to cook? Listen now to discover my TOP PICKS for the best healthy food delivery services. According to the associate chief of the Pediatric Environmental Health Clinic at the Children’s Hospital in Boston Michael Shannon, store bought, standard cleaning products have side effects that impact a wide range of individuals, causing headaches, fatigue, nasal congestion, cough, sore throat and increased asthma symptoms. If possible, make your own cleaning products at home using natural, everyday products like baking soda, vinegar, salt and citrus fruits such as lemon and grapefruit. Another option is to purchase green and natural cleaners such as Earth Friendly Products, Green Works, Method and Mrs. Meyer’s. Whether you live in a small apartment or a large plot of land, reaping the benefits of nature is an important aspect of a healthy home. Spending time with nature eases depression, boosts your mood, improves focus and strengthens immunity. If you’re living in a smaller space, have a few green plants around the house that provide the benefits of nature indoors. If you have the luxury of an outdoor space to enjoy nature, invest in patio furniture that motivates you to spend more time outdoors, like a UV-resistant patio umbrella and a chaise lounge. Your passions invoke happiness and confidence, which are a big part of cultivating a healthy home. No matter what your passions might be, make a small space in your home where you create magic. This could be a small reading nook in a window sill where you read your favorite book or an area right in front of a window that lets in a lot of natural light to place your yoga mat. If you’re into woodworking, convert part of the garage into a studio where you let your creativity run free. Or, create a meditation area (read: Create an Eco-Friendly Meditation Space in Your Place). Got a favorite tip? Let us know in the comments below.